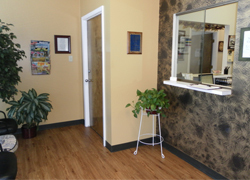 McKinnon Chiropractic has been proudly offering professional chiropractic care in the greater Houston area for over twenty five years. Dr. McKinnon has experience dealing with most any injury or condition, from sciatica to whiplash, and is extremely well trained in Neurology and alternative pain care methods. 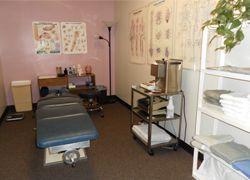 At McKinnon Chiropractic, attentive patient care comes first. Dr. McKinnon always takes the time to listen to her patients, paying special attention to their description of pain, its location, and whether or not a certain treatment is or has been effective. Being a native of Houston, Dr. McKinnon has worked in this community and seen its growth and change over the years. 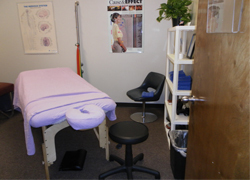 There are unique stressors in our Houston environment where Chiropractic treatment is extremely beneficial. 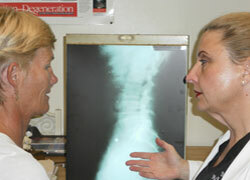 Houston Chiropractor, Dr. Melanie McKinnon also strives to stay up-to-date with new breakthroughs in health care. 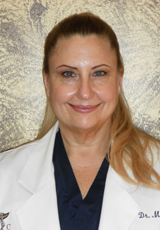 Dr. McKinnon has received a Diplomate in Neurology, issued by the American Chiropractic Neurology Board, and continues to receive training in a wide spectrum of conditions which may be of benefit to her patients. McKinnon Chiropractic takes pride in the fact that patients have access to a Chiropractor equipped with the very latest methods and treatment options available and because of experience know which of those options are most effective. The first thing that must be done in any office is "the paperwork". This insures that your records are as complete and up to date as possible. We have included a link to all the paperwork you will need. This way you can print the forms at your convenience and complete them before coming into the office. If you are unable to print the paperwork, we will be happy to fax them to you. 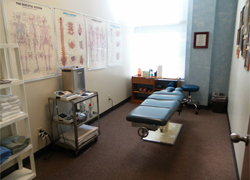 Your physical examination will help Dr. McKinnon determine what is really wrong with you. At McKinnon Chiropractic, we do a complete history, orthopedic and neurologic examination to reveal your underlying problem. An examination is much like looking at pieces of a puzzle, putting them together and completing a picture of yourself. Not everyone needs to have X-rays. If your physical examination is straight forward enough, there is no need to expose you to radiation. But, if Dr. McKinnon determines X-rays are needed to fully understand your condition, she will not hesitate to order them. McKinnon Chiropractic maintains the rigorous standards demanded by the State of Texas in providing for the safety and well being of its citizens. We can take the necessary X-rays right here in the office and Dr. McKinnon will sit with you and go over them. One treatment does not fit all, and here at McKinnon Chiropractic we know that with the right information (the exam), we can offer you the right treatment plan. 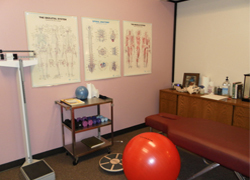 We have several physical modalities to aid in your healing progress. Dr. McKinnon uses a variaty of manipulative techniques including Gonstead, Diversified and Activator methods. It is important to strengthen and lengthen your muscles. We achieve this goal by using exercises to correct our patient's weaknesses and improve their health and well being. Here are some of our favorite rehab links for your convenience: Foundation Training, Spine Health, LIVESTRONG. Most of these sites have quite a bit of advertising, but their advice is sound - it just takes doing it. Excersise is the fountain of youth. Go for it! Massage, bodywork and somatic therapies are defined as an application of various techniques to the muscular structure and soft tissues of the human body. We offer our patients a certified massage therapist to enhance their options for recovery and improve their overall quality of life. McKinnon Chiropractic's massage therapist works directly with Dr. McKinnon to insure the best technique and application for each individual patient. If you have a quetion regarding a condition that is not listed here give Dr. McKinnon a call for more info. © 2010 McKinnon Chiropractic. All Rights Reserved. All information provided is provided for information purposes only and does not constitute a legal contract between McKinnon Chiropractic and any person or entity unless otherwise specified. Information is subject to change without prior notice. Although every reasonable effort is made to present current and accurate information, McKinnon Chiropractic make no guarantees of any kind.